Piracetam is the first compound developed under the racetam class and was synthetically created by Belgium lab UCB Pharma. Of the racetam class, this is perhaps the most discussed and utilized nootropic. Its mechanism of action is poorly understood, but many speculate that it improves cognition without stimulating or sedating properties. In other words, it doesn’t seem to affect a person’s arousal. 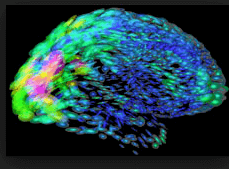 It is a modulator of the AMPA receptor and may work on various ion channels within the brain to excite neurons. Additionally, it improves acetylcholine functioning and may influence NMDA glutamate receptors. There is some evidence that it increases the amount of blood flow and oxygen to the brain. It is not approved in the United States for any condition but is approved in the United Kingdom. In recent years it has gained popularity among students as a way to increase academic performance. Piracetam is not just your ordinary compound where different other compounds and supplements are derived from. It is one of the widely known and researched nootropics because of the cognitive benefits it provides and because it could be considered the first nootropic to be developed and labeled. Whether you are a student, a professional, or somebody who needs to step up your cognitive capabilities, then Piracetam will be an excellent starting supplement for you. Aside: It can be used as a hangover pill after a night out consuming alcohol, you can examine the results for yourself. As Piracetam is absorbed and crosses the blood-brain barrier, it acts on our brain, specifically the Acetylcholine receptors which are mainly responsible for an individual’s learning abilities. This is the reason why one’s learning capacity, memory, and focus may be improved. Sounds complicated but the concept is simple, Piracetam influences the cell membranes in the brain so there is better cellular communication as well as membrane fluidity. With this, there is enhanced learning capability and enhanced formation and retrieval of memories. It is imperative for supplements to be taken at the right amount and frequency for it to produce the desired effects while potentially eliminating the undesired ones. Piracetam has a wide range of recommended doses ranging from 1.5g to 9.5g daily (1). However, most users find the dose of 800 mg (3x day) very beneficial while others seem to respond positively even with a baseline dose of 400 mg(2). It would be best to start with the lowest possible dose that will still yield its effects. Also, it is essential for you to see and observe how you react to the drug, especially if you are a first-timer. 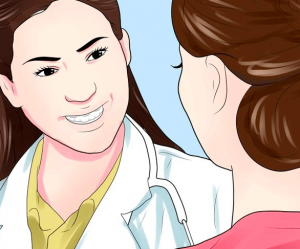 Moreover, some people may also need to consult their healthcare provider first for their suggested Piracetam dosage and frequency since their condition and health status may play a role. Stacking supplements may yield better and faster results. Let’s start with the Cholinergic. Cholinergic serve to increase levels of choline and/or acetylcholine in our brain as well as inhibiting the breakdown of acetylcholine. And in the case of Piracetam, it needs a sufficient and sustained supply of Acetylcholine for it to efficiently produce its effects. Thus with Piracetam and Choline working alongside, the stack yields better results. Additionally, Cholinergic also serve to decrease and/or prevent some side effects that Piracetam may bring, such as headaches. Piracetam side effect may be attributed to a deficient supply of acetylcholine in the brain thus, producing headaches. Some of the more widely used Cholinergic you can buy to use alongside are Alpha GPC, Citicoline, and Centrophenoxine. 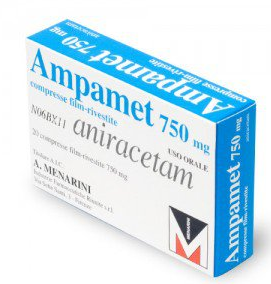 You can also do a side-by-side comparison of the difference between two racetams before stacking them, an example of Aniracetam vs Piracetam here. Aside from the Piracetam Choline stack, Piracetam may also be used along with the other members of the Racetam family such as Aniracetam and Oxiracetam, among many others. On the other hand, Piracetam may also be used in conjunction with the other stronger nootropics such as Noopept, Adrafinil (smart drug), Modafinil (smart drug), Phenylpiracetam. This is done to have a stronger and longer-lasting cognitive boost for individuals who need to deal with more challenging mental tasks. Piracetam is water-soluble so you do not need to consume it with food for it to be absorbed efficiently. However, some users prefer to take it with other beverages that have stronger taste such as orange juice. This is because Piracetam powder more specifically, has a bitter taste (1). Although this practice is optional, many recommend taking an initial “attack dose” of Piracetam especially for those who are just starting. Also known as the “loading dose”, Piracetam is taken with a starting dose of two times or three times or higher than the moderate dose. In this way, it will allow you to build up a certain concentration of Piracetam in your system right away. 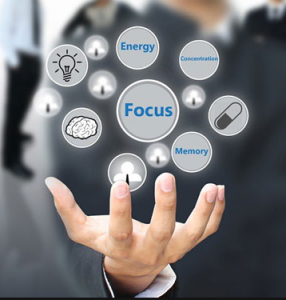 Where to buy Piracetam Capsules or Powder Online? It is readily available in the form of Piracetam tablets (Nootropil — A drug sold in Eastern Europe) and powder and pill form online. If you are looking to try Piracetam, we advise you to click here to go to a safe, and trustable source that provides certificates of authenticity (COA) and has a third-party lab test the powders for purity. Additionally, their prices are low (and sometimes have Piracetam on Sale) and are well respected in the nootropic community online. We usually fluctuate between vendors and can sometimes provide a discount from vendors so it best to always check back and buy directly from the link above, as many times vendors increase prices or no longer carry Piracetam. The above vendor ships to the UK, Canada, US, Europe generally, Australia and New Zealand among other places. Piracetam is not FDA approved and is not readily sold OTC in America, so you will not find it in GNC, Vitamin Shoppe or your local pharmacy. 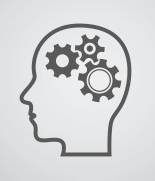 Piracetam is one of the most well researched and original cognitive enhancers. It is a supplement of the Racetam class. It is known to be a very modest neuroprotective and memory-improving agent which offers solid cognitive and neurological benefits, consolidated with essentially non-existing toxicity (less than that of table salt). A very small percentage of those that use Racetams may experience unpleasant headaches. The headaches caused by Piracetam may last many hours after the initial intake or sometimes it can be very short-lived. 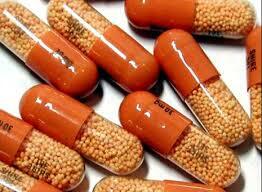 Using Piracetam may also intensify migraines and headaches that are caused by some other stimuli. 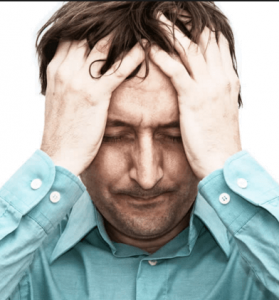 Why Does Piracetam Cause Headaches? 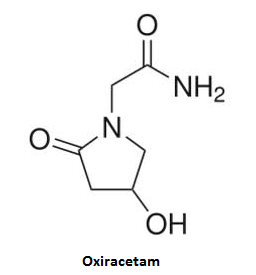 Aniracetam, Oxiracetam, Pramiracetam along with Piracetam stimulate the Acetylcholine receptors in the brain. Acetylcholine is possibly the most significant Neurotransmitter responsible for many brain related functions and is also responsible for functions in relation to learning, concentration and reasoning. Acetylcholine is produced from the food we eat that contains choline, but in so many cases, humans do not get adequate amounts from just food alone. Evidence suggests that taking enough choline with Piracetam, may cause headaches to subside and or be prevented (reference). This is because Piracetam demands a high level of choline be present in our brain when supplemented, without it, your brain will give you a headache. You can think of it as similar to getting a headache from being dehydrated after running, with Piracetam your brain is “running” and choline is the source it needs to keep you going. The liver makes very little amounts of choline, thus it may be beneficial to buy a choline supplement. Numerous foods contain choline, such as: egg yolks (250mg per egg roughly) and liver meat, regardless of its wide accessibility, scientists think many individuals don’t get sufficient levels of choline. As per a popular anecdotal evidence, the use of Piracetam can often times overly tax an individual’s cholinergic system. If enough choline is not present in your food, then there is a chance that you might be choline deficient. This can be evidenced from any of the racetam nootropics being consumed on our platform, most are “commonly paired or stacked with” one choline source or another, see aniracetam with AlphaGPC, phenylpiracetam with the same, and pramiracetam here. 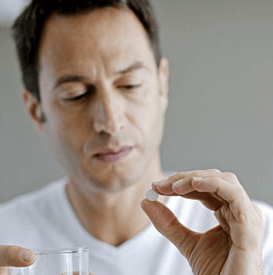 How to Cure a Piracetam Headache? If an individual is suffering from a consistent headache while using Piracetam, they should first try adding choline to their diet (food). Secondly consider stacking your choline powder of choice with Piracetam, see alpha gpc dosage amount, and choline bitartrate dosage amount here or you can also try Centrophenoxine. You should start by adding a small dose initially (250mg if alpha gpc for example) and then can slowly increase the dosage until your headaches are gone. If you did not notice any effects from adding additional choline at up to ~750mg, continuing to add more may not help. Again see the Piracetam page to determine what the most ‘common’ ratios are to get an idea as to where to draw your limit and call it quits. E.g. 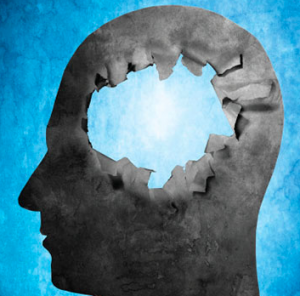 If you consume 4.8g of Piracetam with 250mg of Alpha-GPC you may not notice the helpful effects of adding choline to your stack, however if you consume 1.8g to 500mg of AlphaGPC–you might just notice that you don’t have a headache. Generally consuming choline is also a good habit in and of itself and can act as a cognitive enhancer as well, see choline+inositol stack. Taking Piracetam alone can cause headaches among some people and with the addition of choline, the headaches may stop, however for a few people the opposite is true. Taking Choline with Piracetam can cause headaches while taking Piracetam alone does not. In this case you could be “choline dominant” and your best course of action could be to cease supplementing choline. Many people read and feel as if it is absolutely essential to take a choline source with the Racetams and that’s just not true. If you don’t need it and your body is telling you it doesn’t need it via headaches, stop or take half the dose and observe the results. Many users when adding choline experience depression, brain fog, lethargy or fatigue. Some research demonstrates a relationship between depression and large amounts of choline in the brain. Having said that, the opposite research is also available, so as of now, you may need to test what works and doesn’t for you. You can search for many supplement stacks which contain choline here, add a choline source you have and Piracetam on the compound search bar in the textbox on the left menu of the page and see what other’s are doing. Additionally, the problem can be caused be something totally unrelated to Choline as well, are you hydrated enough?, are you getting enough restful-sleep?, do you have any chronic conditions?, stress? could it be the result of a interaction with other drugs or supplements? Tracking these variables is key, and if you do have a condition and or are on other drugs, you can see if other’s on TrackMyStack have had the same symptoms as you — which can help in determining the cause of the problem. You can spend time researching and learning/biohacking yourself but don’t forget to visit a professional who may be able to diagnose the issue much quicker. Generally, Piracetam is not common drug to supplement in the Western part of the world, chances are your health care professional will not know anything about it and ask you to get off of it right of the bat — as it is the safest thing for them to recommend. Consider taking another ‘supplement’ (Piracetam is a synthetic drug) for cognitive enhancement (if that is your goal). Another option is to utilize a Nootropic with a alternate mechanism of action such as Adrafinil. Nootropics, also known as cognitive enhancers are a supplement class widely recognized for enhancing focus, brain power and memory. Not too many people know of all the qualifications for a drug to be called Nootropic. One such lesser known qualification is that a drug should be considered very safe to use and should be non-toxic for human brain to be deemed as a Nootropic. Without knowing this many people worry about using cognitive enhancers. Dr. Corneliu E. Giurgea’s original standards for nootropics states that Nootropics must actually promote and guard brain health. Dr. Corneliu E. Giurgea is the founder of founder of a family of Nootropics. 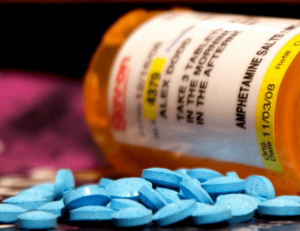 For the reason mentioned above, numerous smart drugs such as Adderall and Ritalin failed to reach the standards and wouldn’t qualify. Supplements such as: Piracetam, Noopept, Aniracetam, CDP Choline and many more qualify as Nootropic drugs, many studies have been conducted (perhaps some only in Europe and the former Soviet Union) to make sure they are relatively safe for consumption and have a low adverse side effects in humans. While there are many nutritional supplements available in market today, nootropics have proven as the safest of all–perhaps by definition. The Neuroprotective properties in Nootropics might delay the symptoms of aging on brain and stop cognitive decline among senior citizens. Many of Nootropics offer anti-oxidant effects while they also help preserve the structures that are in the brain cells. It is observed that some Nootropics may help increase NGF and boost Brain Derived Neurotrophic Factor levels and support the growth of the new neurons and connections between them. Nootropics are currently being used for clinical researches for the treatment of Parkinson’s disease and Alzheimer’s along with many other medical conditions. It is also observed that most of these Nootropics don’t have any known complications or drug interactions with the current health conditions of the patients. The signs of rising tolerance among the patients who were using Nootropics are not observed and also getting addicted to Nootropics in the long term does not seem too risky, unless if you are considering things like Picamilon a healthy nootropic to take daily. 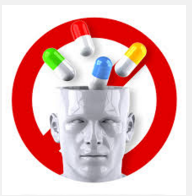 Although using Nootropics is considered to be safe, it is advised to consult a medical professional before using them. Make sure you go in with a detailed stats report (printed from our site) especially if you want to supplement nootropics like Piracetam and other’s that are not actively prescribed especially in North America. In Europe you be okay as you can request the branded version of these “supplements” which are considered drugs, e.g. 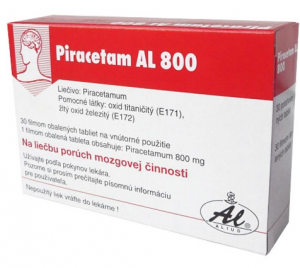 Piracetam is sold under the trademark “Nootropil”. Nootropics are widely used for their ability in improving cognition and for its promise to a very small risk of the side effects; the popularity of Nootropics is expected to rise in the next ten years (don’t believe us? just check Google Trends). If you have decided to use Nootropics, it is an advisable idea to get yourself familiarize with few of the mild side effects and possible experiences. The side effects of Nootropics are rare and generally occur when the doses you are consuming are higher than normal or when you’re initially adjusting to the supplement. In such cases, few of the probable adverse side effects include Fatigue, Insomnia, Anxiety, Headaches and GI tract issues. 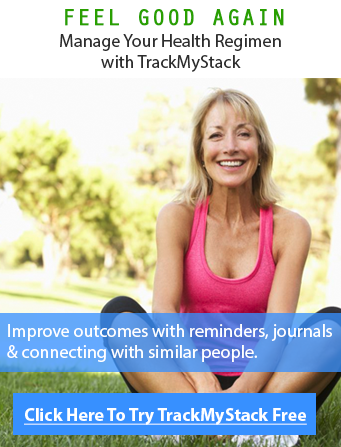 Sign up to TrackMyStack to monitor the effects of each individual supplement you decide to add to your stack to monitor changes, for better or for worse. Headaches are a generally reported side effects in the patients who consuming Nootropics (Mainly Racetams, such as Piracetam). When using Nootropics, your brain processes information faster than usual and demands extra Acetylcholine than usual, thus giving you a headache. This causes Acetylcholine receptor sites to start “burning” out. It’s observed that this kind of synaptic overdrive could lead to headaches. Luckily enough, the headaches caused by this situation can be easily acted upon. Adding a quality dose of Choline (Alpha GPC is the best choice among many) to your stack will counteract the headaches. Choline acts like precursor to acetylcholine and helps to safely raise its supply. Choline helps satisfy brain’s need for Acetylcholine and gives relief from the headaches. Most Nootropics are generally capable of boosting energy levels along with increasing alertness but sometimes this may lead to two conflicting side effects: Insomnia and Fatigue. Awake, yet tired. In situations like these where Nootropics are taken near bedtime, Insomnia is observed as the mind is active and thus fails to fall asleep. Once you sleep, you may end up waking up looking tired as you may sense that you aren’t sleeping well. So, it is important to watch the time when the dose is being taken. It is the same reason we don’t advise anyone take things like coffee or Adrafinil past 2PM. Based on anecdotal evidence, you may get sleep but it may feel like the equivalent of “passing out”, additionally, you may sleep for a few hours less, thus you may not get the restful sleep you may need to recover completely. Sleep by far- outperforms any nootropic in terms of improving cognition. Some Nootropics however may work better in promoting sleep, such as: melatonin (1g cycled weekly, it is a helpful hormone for the body as well, and is not just for sleep, go for a slow and fast release version), L-Theanine and Inositol are some of the supplements that promote healthy restful sleep. If you need to “come down” from your stimulating nootropic high, consider tea such as Chamomile and Magnesium (not necessarily nootropic–though it can be if L-Threonate is used, but promotes relaxation and is lacking in most diets and thus useful for your whole body as well). Fatigue occurs when one takes an excessive dose of alertness prompting Nootropics and then starts to burn out. The best solution to this may be to reduce the dose or spreading it out over a few administrations in a day. If Fatigue persists, you should consider pausing the use of your supplement for a week or consider moving to another Nootropic altogether. You need to be always managing your risk vs reward, when it comes to any supplement or drug. Generally, when an excessive dosage is consumed, your intestinal system can experience difficulty. In such situations, the body might perceive it as risk and simply remove the unnecessary material. This removal may lead to irritation and may lead to diarrhea, nausea or pain and uneasiness in the GI tract and stomach. Decreasing the dose you’ve been consuming can be a simple cure for side effect involving GI tract. Using the recommended level of the dose is always suggested. When the remedy for GI tract side effect doesn’t work then it is recommended not to use the supplements for a while until the side effect resolve — or if it’s urgent, consult a physician. Another solution to GI tract related side effects is to take an extra concentrated Nootropic such as Noopept which only requires small dose and therefore your gastro intestinal system will not require much processing. Every Nootropic supplement contains its own unique way of functioning and hence may cause it’s distinctive side effect. Whichever the supplement you use, take a look at the safety profile and learn about the risk of side effects it may cause. Apart from the major side effects discussed above, additional side effects you may observe from the Nootropic supplements are restlessness, anxiety, depression, mood disorders and nervousness. Although side effects are listed, the possibility of occurrence of these side effects could be rare. Additionally some nootropics may also cause skin irritation, rashes, lightheadedness and high blood pressure. These side effects are usually associated with consuming Nootropics in excessively high dosages. Side effects usually occur in a very small percentage of the total users while the majority users might never experience anything, everyone’s biology and body works differently. If you feel like something is not right, stop consumption and seek a health professional. When recommended guidelines are not followed or combining different supplements it may lead to the additional side effects aforementioned. If you follow the guidelines and recommended dose, Nootropics offer plenty of advantages with a very low threat of side effects. The film Limitless, which stars Bradley Cooper, Arbie Cornish, and Robert Deniro, has made a huge impact on society. This is mainly because it revolves around mental capabilities and how we could unlock our full potential just by taking a single pill- the NZT 48 drug. 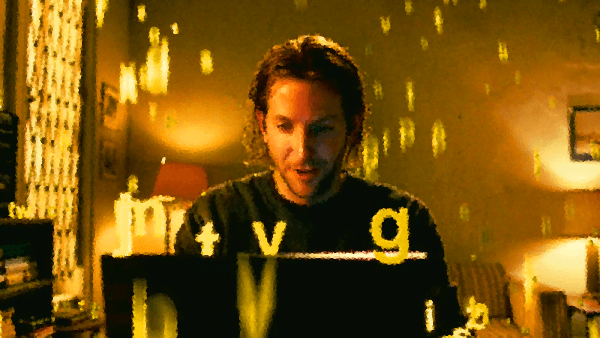 In the film, NZT-48 is such a powerful drug that it makes Bradley Cooper, known as Eddie Mora in the movie, unlock his full potential. He is superhuman when he takes the pill; not only is he able to use 20% of his brain’s capacity, but he is able to go much beyond that. 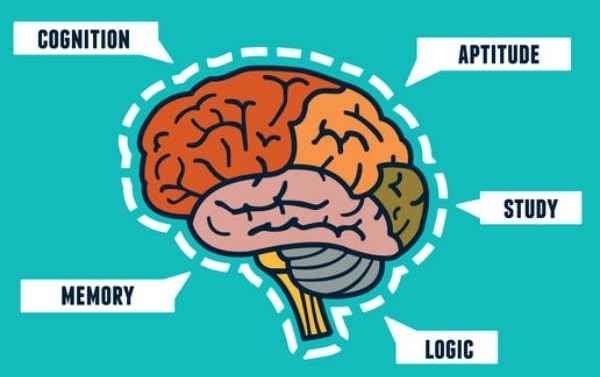 In reality, we use 100% of our brain, not all the time, but we use different parts of our brain for different things, the 20% of our brain usage is a urban myth. Anyways Bradley becomes the smartest living creature, doesn’t run out of energy, is able to learn languages and make a lot of money in the stock market. Would this be something you would take? Does NZT48 really exist? The truth is, NZT-48 is just a creation of fiction and it was created to sell the movie. So the question is, why do we have the need to talk about this topic? 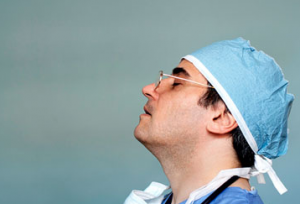 Does it only give us a dream, or a false hope of using our brain’s potential 100% of the time? Even though NZT-48 is not real, there’s supplements and drugs referred to as Nootropics and they are starting to appear promising. What are Nootropics and are they close to NZT? By definition, nootropics are drugs that can protect your brain, enhance memory and/or other cognitive functions. They serve to promote enhancement in memory and facilitation of learning (1). 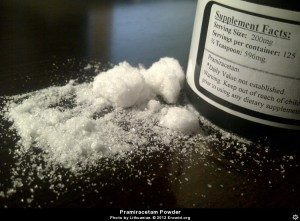 Among the most famous nootropics today is the Racetam family and the first nootropic drug to be used widely was Piracetam, a synthetic derivative of GABA, also known as aminobutyric acid. You don’t need to remember this, although if you were on it, it wouldn’t be hard..would it? Although its mechanism of action is still not fully understood, studies show that Piracetam positively affects the release of neurotransmitters in our brain and their receptor-binding capabilities. This improves cell functioning and leads to cognitive enhancements such as more efficient and easier memory formation, and memory recall. Also, Piracetam is involved in the activation of Acetylcholine, an important neurotransmitter in the brain related to memory processes and development (2). It is fairly easy to buy online as well and is considered safer than table salt (when you look at the LD50). At present, various nootropics have already been discovered; these are much more potent than the parent compound Pireacetam. These smart drugs have a wider array of cognitive benefits and improve other areas like mood, behaviour, energy, and others. One such smart drug is Noopept — it is believed to be 1000x more potent than its derivative Piracetam. Other familiar nootropics also include Phenylpiracetam– also a derivative of Piracetam and is believed to be 30-60x more potent than its parent compound Piracetam. One notable feature is that it has a phenyl ring added to the original structure, giving it a higher affinity for Norepinephrine and Dopamine, and making it easier to cross the Blood-Brain Barrier or BBB. Moreover, it enhances physical performance and gives stimulating and energizing effects through an increase in Noradrenaline levels. Although athletes find this very useful, it is banned in the Olympics due to its psychostimulatory and cold resistance properties. Phenylpiracetam also has the ability to motivate and reduce the effects of anxiety and stress. Finally, other various smart drugs known in the market today include Pramiracetam, Aniracetam, Alpha GPC, Citicoline, Phenibut, and many more. Through gradual research and experiment, a lot of smart drugs today show a large resemblance to NZT-48. The above are marketed as supplements but the FDA would not classify them as supplements. There are some drugs that are approved by the FDA (in America, it is the regulatory agency, and we will talk about that below). 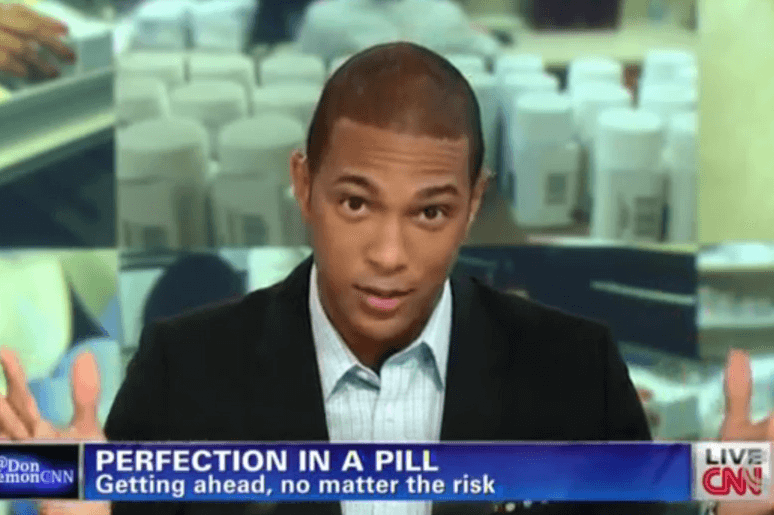 Is Modafinil the original limitless pill? Is modafinil really the original nzt48 pill? Consider Adrafinil, as the legal limitless pill and is available for sale online. Is it also a fictional drug like the NZT-48? Well here is the good news, Modafinil in contrast with NZT48, is a real-life drug. Yes you heard it right, Modafinil is not just available on our television screens, but we can actually buy it. But how is Modafinil related to the limitless pill NZT-48? Modafinil was actually the inspiration for NZT-48. It is used as a wakefulness-promoting agent primarily used to treat Narcolepsy (a condition causing excessive daytime sleepiness), shift work sleep disorder, and other sleep disorders. Its wakefulness-promoting properties and increase in energy levels may be attributed its role as an adrenergic receptor agonist. It activates orexins/hypocretins (these are brain peptides) thus, increasing dopamine, norepinephrine and histamine levels. Moreover, Modafinil serves to improve memory and brain function through enhanced neuronal stimulation; more specifically, positive stimulation of Glutamate receptors and inhibition of Glutamate breakdown. Because of Modafinil’s mechanism of action, it is the drug that is the closest thing to limitless pill NZT 48. Soon we will also review Donepezil which many now consider a limitless like pill as well. Modafinil is obviously a prescription drug and there can be many side effects, however with a good diet and proper nootropic supplementation you can ‘generally’ always feel noticeably smarter than your baseline, it is like body building, you can take supplements to go from your baseline to your absolute genetic potential but then as bodybuilders take steroids, drugs like modafinil can be used to push the brain to it’s capacity and thus we don’t recommend anyone try it right off the bat, especially not without consulting a physician. Although NZT-48 may just be a fictional drug–the idea is real, there are a lot of promising smart drugs in the market that offer similar benefits. One supplement may provide benefits in one facet, but when stacked with others may be the complete regimen you need to feel more intelligent. We urge you to browse different stacks and see the results people are getting. A popular example of stacking is the combination of Racetams with Cholinergics. For instance, the actions of racetams are attenuated due to an increased level of neurotransmitters that are essential for brain functioning. Be sure to track your results over time to see how the changes are affecting you. If you would like to skip nootropics and go straight to a nzt like smart drug consider buying adrafinil (modafinil precursor) here.